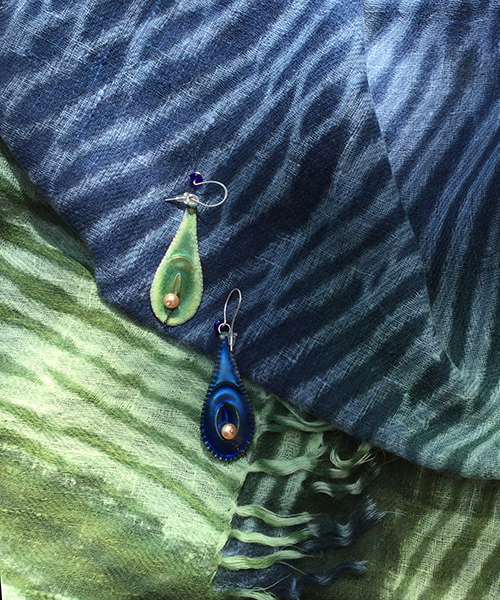 We loved the vibrant colors of Nancy Sickbert-Wheeler‘s earrings so much that we dyed some of our luxurious cashmere shawls to match. 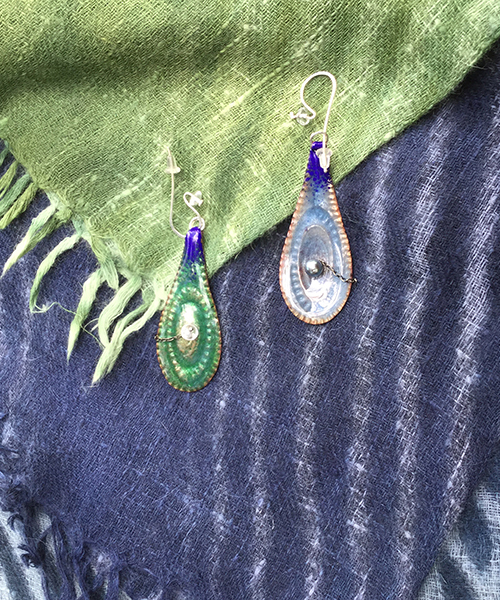 Each pair of earrings is reversible, with a different color on the back, making them twice as nice. 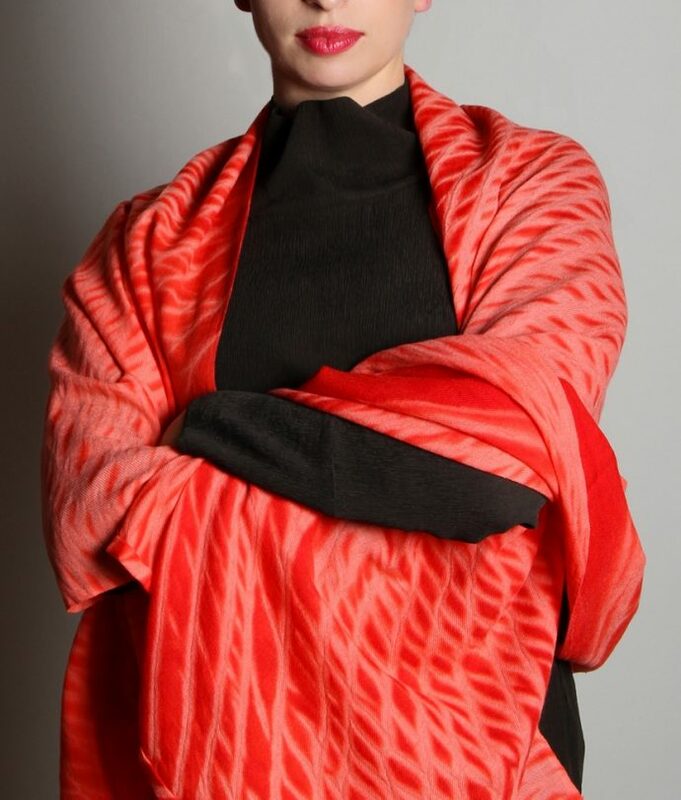 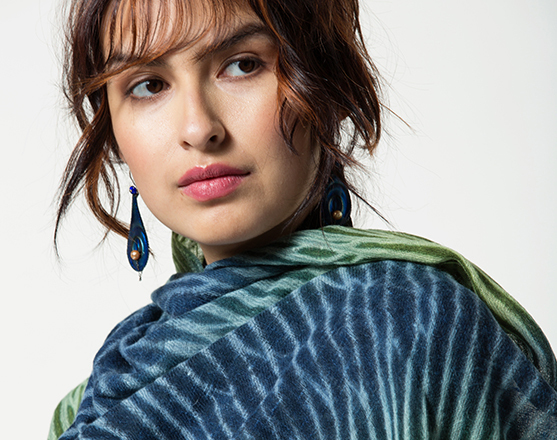 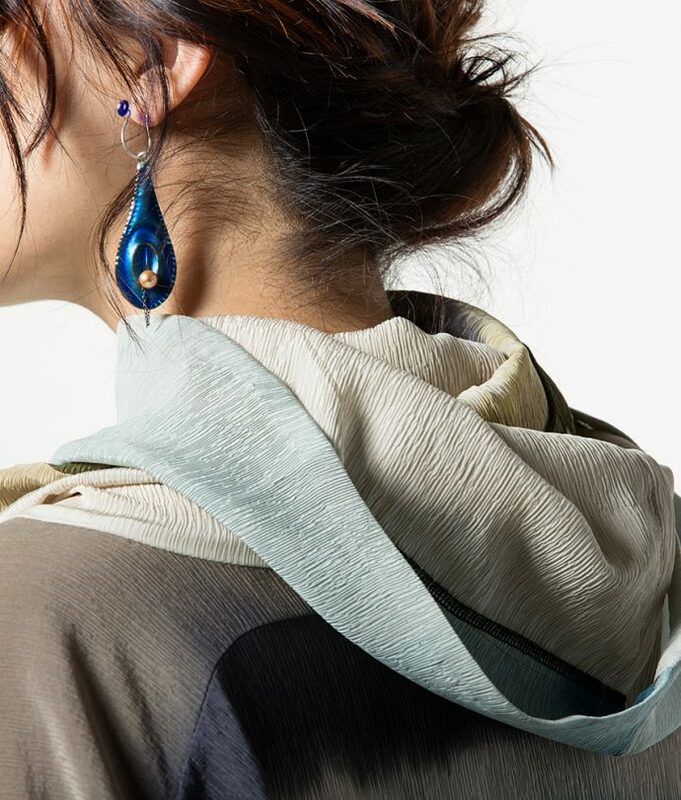 Each shawl is unique, hand-dyed in the Japanese Arashi Shibori technique to reflect both colors. 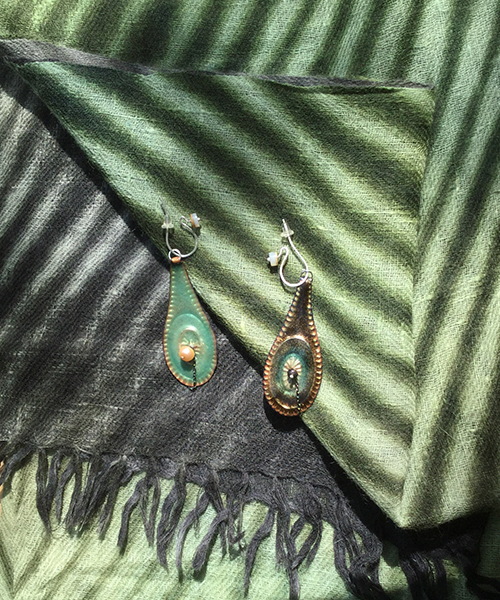 Earrings are vitreous glass enamel on etched copper with cultured pearls and, in some, crystals. 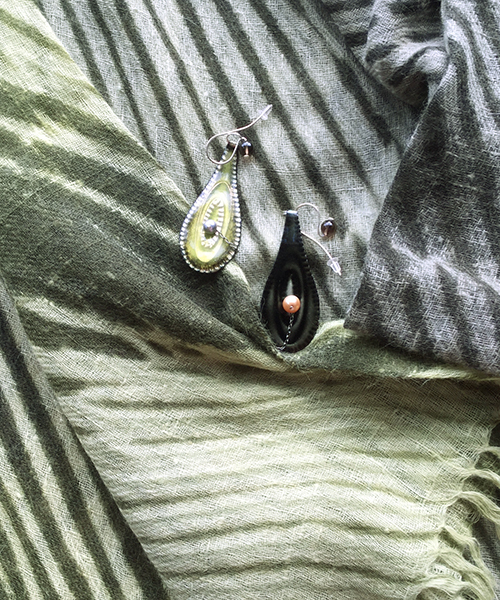 Nancy Sickbert-Wheeler is a master metalsmith and enamelist and a good friend of the Bacigalupi family. 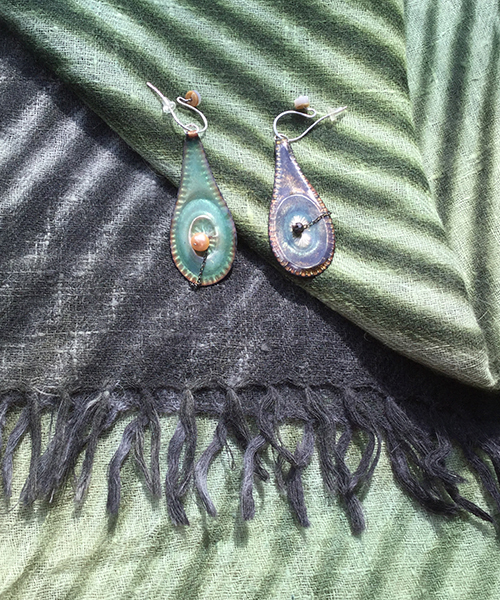 She has her studio and teaches jewelry making in Evanston, Illinois.